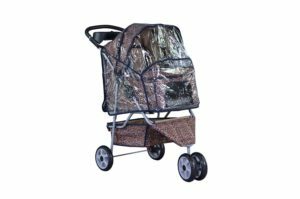 The BestPet All Terrain Extra Wide 3 Wheel Pet Stroller is definitely worth a look if you’re a fan of 3 wheels, and wanted the extra roominess to bring more than one pet on your walks. I confess I was first drawn to the leopard pattern – something different from the plain, solid colours I’ve been used to seeing. Let’s look in more detail at the features offered. Now that I have 2 dogs in need of a pet stroller, the extra wide compartment is a bonus. Although they do fit in the one I have now, with Jack’s spinal surgery we have to be careful how he sits/lies. The width would make it easier for both dogs to lie comfortably, if they have to be taken out together. by zipping the stroller up, but the mesh will let the rain through if it’s heavy enough. Having the cover is added protection, meaning the weather will no longer determine if you can take the animals out. I found 432 customer reviews at the time of writing, and they had awarded the BestPet All Terrain Extra Wide 3 Wheel Pet Stroller 4.6 stars out of a possible 5 on average. The biggest complaints have been concerning the wheels, more specifically the post that holds the front wheels came off due to rust. It is advertised as an all terrain stroller, and many users have not only jogged with it, but also had no trouble wheeling it over snow, ice and bumpy roads. However there are others who feel it is not truly an AT stroller, mainly because the wheels are plastic. If your pet is elderly with arthritis for example, or recovering from surgery, think about the type of surface you will be rolling over. If you will be walking on mostly bumpy terrain, air filled tires and strollers with shock absorbers may be a better choice. treats, and cup holders for my water bottles, means the items most used are close to hand. The storage basket underneath can hold plenty – I bring a sun hat, binoculars, small pack of Kleenex, snack for myself, leashes, toys, raincoat just in case and there’s room for more. Plastic wheels are not the best for very rugged conditions, but you shouldn’t have a problem if part of your walk sometimes takes you over bumpy roads. I would stick to smoother surfaces myself, but that’s because one of my dogs is blind and I don’t want to frighten her, and the other shouldn’t be jostled around because of surgery. Almost every real buyer of this product is extremely pleased with their purchase, and would recommend this stroller to others. My 2 dogs would probably be more comfortable with the extra width. That’s the type of stroller I’d want if I ever got one to carry around both girls. A nice fit for two! Strollers aren’t really done much in Australia, but I know many of my American friends use them for their pets. I’ve only seen maybe a handful where I live in England, which is a shame. When used for the right reasons, they are a big help. I wonder if this would work for cats? Hi Katie, My cats would never have gotten in one, but there are a lot of people that use them for cats. 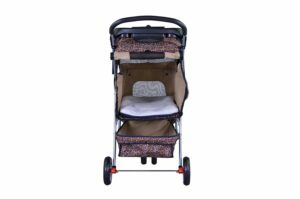 I am in the market for a pet stroller now so I am going to check it out on amazon – thank for the info – sounds like a really great quality pet stroller! Very exciting Joely!! If you end up buying one send me a pic of your dog in it, and I’ll be happy to post it. Looks like this stroller might also work for cats. 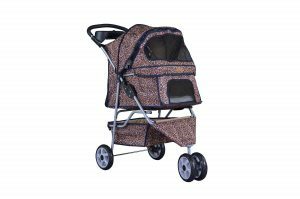 Ruby walks very well so we are not quite ready for a stroller, but am thinking about one for our older cat. A lot of cat parents use strollers, and they’re very happy with them. My unsolicited advice? Before you take your cat out in it, I would see how he/she likes it in the house, then the yard before I’d go onto the streets. I would also keep a harness on the cat, and hang onto the leash. Be sure to check for spaces cats can crawl through before you buy. That looks fancier than baby strollers! Of course, our guys prefer using their own feet to get places. You’re lucky your dogs don’t have any problems walking. Unfortunately many do, as do both of mine, and for those a pet stroller is the perfect solution. It allows them to walk as much as they’re able, then still spend time with the family, rather than being stuck at home. I will have to put this one on my list of potential strollers for my kitties! I love the leopard pattern too. Since I would only take them out on nice days (late spring/summer), some of the all terrain issues wouldn’t be as important to me. It’s great that it has such a large compartment for the pets too. I have a feeling that Dexter is going to end up being a big kitty (he’s only 6 months old). I was quite attracted to the leopard pattern as well. Lots of people do use a pet stroller for cats, unfortunately none of mine would have been that cooperative. Feel free to share some pics when you do get it. Looks like a great stroller. We don’t need one yet. Kilo was not impressed with the carry bag I tried him in yesterday so a roomy stroller might work better at some point. My dogs are much happier in a stroller than a carry bag. This is like the Land Rover of strollers! Nice. We get so much sidewalk damage in NY each Winter I can see the the usefulness of this one in particular. Excellent review! I know what you mean. I’m from Canada and the damage the salt does every year is amazing. A sturdy stroller is a must have in these conditions. Your reviews are really great. I have a rain cover too, but haven’t used it yet. Maybe I should, it looks like it is a good addition. Thank you Tonya. A rain cover is very handy, especially if you live in an unpredictable climate like I do. Wow! That looks like some stroller, too bad they didn’t make one big enough for some Goldens! lol What a great review! Thanks! I can only assume most strollers are for small dogs because they’re the ones that are often, sadly, treated as accessories. Hopefully as more people realise how helpful it can be for dogs of all sizes who have arthritis, or are recovering from surgery or injury, more attention will be paid to big strollers (unless it’s a design issue!). Great read. None of my pups would want to ride in it. Lol. But I think my cat would! Surprisingly my younger dog Jack liked it, but I guess because he knew he was recovering, it was better than staying in the house! Lots of people use it for cats, but none of mine would have gone near it. Sounds like a terrific stroller! I could have used one for my sweet angel boy, Gibson, on the days when he could not walk. Only…I’d need one for a 100 pound Husky! Thanks for the great review! There are strollers made for bigger dogs, but so many users say claims are exaggerated. It would be amazing if more strollers would accommodate really big dogs. Shame for them to not be able to go out as much because of it. I’d probably want a lightweight tiny one as we don’t have much storage space and Mr. N is the only pet. This looks nice for people with multiples though! They fold luckily, so when not in use they can be stored. This one is wider so definitely better for more than one dog. Mr. N might get lost in there!! Omd how cute is this! 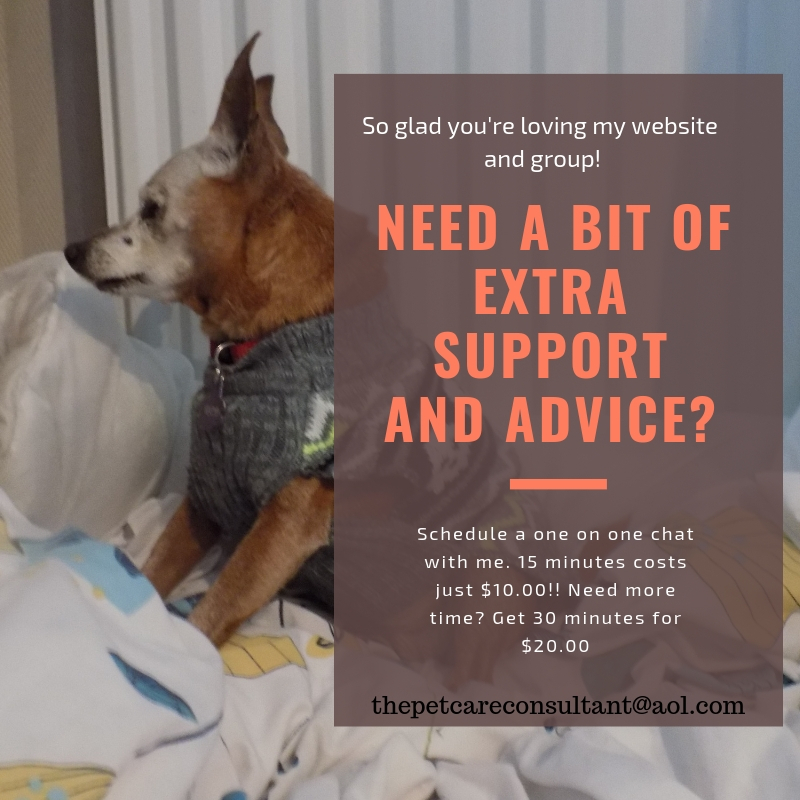 A big part of why I finally buckled down and bought a stroller was because of safety and convenience for both my small dogs and my seniors. Great article! I found it hard to take the plunge, but once I did I knew it was a great decision, and I realised I could have used it a lot sooner. It definitely is convenient, and safer.